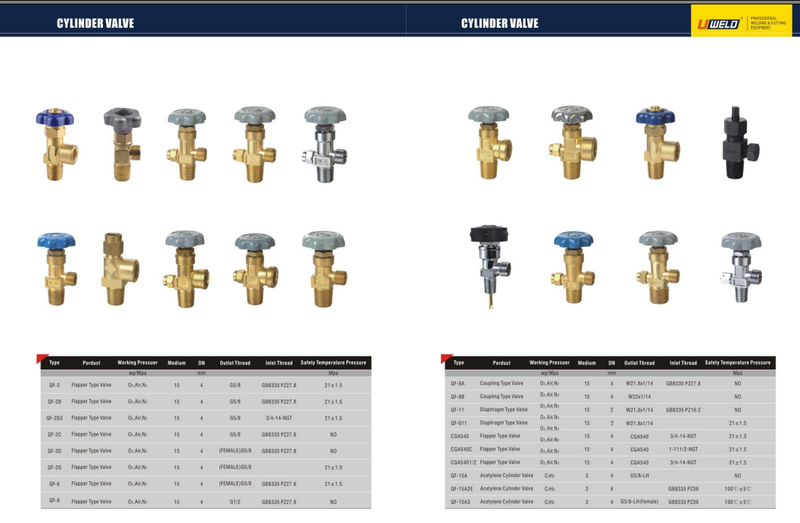 Product categories of Cylinder Valve, we are specialized manufacturers from China, Cylinder Valve, Tank Valve suppliers/factory, wholesale high-quality products of Gas Cylinder Valves R & D and manufacturing, we have the perfect after-sales service and technical support. Look forward to your cooperation! Cylinder Valve is a device for controlling the entry and exit of gases, usually made of brass or steel. It is characterized by the use of high environmental pressure, various type of medium , filling with high frequency. A cylinder valve for a cylinder filled combustible gas is provided with a gas outlet whose thread is left; for a cylinder filled combustion supporting gas, the gas outlet of cylinder valve's thread is right. This structure of the cylinder valve can effectively prevent the false loading of the combustible gas and the non combustible gas.